This may be unthinkable for those who comment on every single black metal review about how they can’t get into the genre, but for me, black metal can be one of the most relaxing styles of music. Not all black metal, of course—trying to take a Sunday siesta with Imperialist blaring would be an impossible task. In the genre’s most atmospheric forms, however, the ambient-like stream of muffled tremolo riffs and blast beats can be utterly calming. 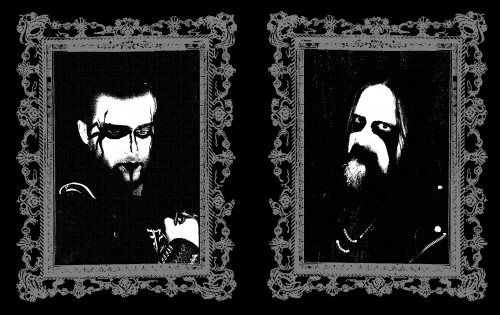 Ringarë certainly falls within this realm, but with a twist: they build off the foundation of old school symphonic black metal, the sort pioneered by Limbonic Art and early Dimmu Borgir. This marriage of 20th century songcraft with a 21st century melodic mindset, while hardly revolutionary, makes for a frequently spellbinding record in Under Pale Moon. Ringarë‘s long-gestating debut, consisting of four tracks, values otherworldly beauty over scathing dissonance. Considering the band’s second wave mindset, I find this melodic approach to be particularly intriguing. The compositions maintain the crystalline synths that defined their forebears’ symphonic trappings, yet the nostalgic, Deafheaven-esque guitar melodies of the title track, as well as the frozen melancholy reminiscent of early Coldworld in “Through Forest and Fog,” reveal a more versatile aesthetic. The melodic flexibility, coupled with frequent rhythmic change-ups on drums, makes for a more engaging listen than one might reasonably expect. Atmosphere is Under Pale Moon‘s priority, sure, but it has more going for it than passive ambiance. Nothing is perfect, of course, and Ringarë‘s particular weakness is that they sometimes don’t know when to quit. The first and last tracks, ten and twenty minutes long, respectively, feature extended, synth-only epilogues. While pretty, these sections feel bloated and tacked-on. Greater success is found with the second track, “Sorrow Under Starry Sky.” Here, Ringarë smartly sandwiches the meat of the track between a simple, symphonic wind-up and cool-down, lending the song the kind of concrete structure missing from the rest of the record. I don’t think that the band shouldn’t attempt extended tracks in the future, nor do I think they should eschew their synth-only sections; the droning, ten minute epilogue of “Through Forest and Fog,” for instance, is legitimately captivating. Ringarë just needs to take more care in making sure these sections make sense in conjunction with the rest of the track in question. Under Pale Moon‘s production will likely act as a barrier of entry to some potential buyers, but I find its fuzzed tones to be an excellent match for the atmosphere Ringarë conveys. The success of the murky engineering lies in the mixing decisions. Though laden with universally lo-fi tones, all of the record’s components can be located at all times, though occasionally one has to strain a bit to make out the drum kit. While the synthesizer effects are laden with cosmic majesty, the rest of the instruments feel refreshingly grounded. The drums and strings offer no-frills tones aside from the heavy guitar reverb, and the vocal reverb allows the shrieks of singer Likpredikaren to be translated into a primal force of blizzarding winds. 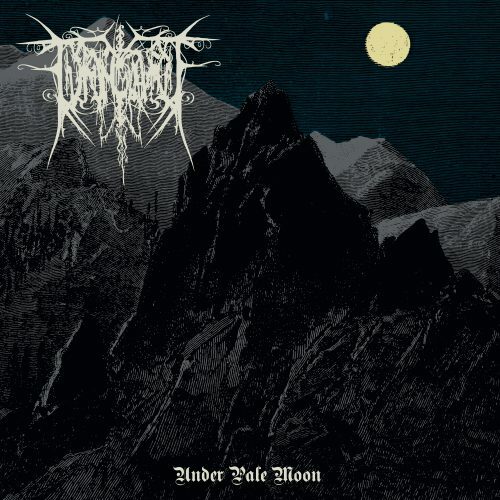 I probably would have preferred a slightly more coherent sound, but as it stands now, Under Pale Moon is a solid take on the lo-fi black metal aesthetic. Under Pale Moon is the kind of throwback experience that doesn’t ask for much from the listener beyond a surface examination. While I’m a bit disappointed that there isn’t much here for me to delve into from a critical standpoint (especially since the great, forward-thinking Chaos Moon was born from this band’s ashes pre-reformation), I’m not at all displeased as a casual consumer. Ringarë will by no means shift your personal ranking of symphonic black metal acts, and that’s okay. Their impenetrable, serene atmosphere and thoughtful melodies should make Under Pale Moon a welcome substitute all the same, perfect for snowy days devoted to eschewing the classics in favor of something distinctly old, yet enticingly new.